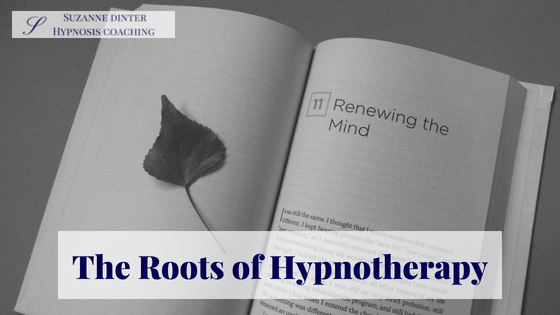 This week I want to talk about the roots of hypnotherapy. Trance has been used to heal illnesses and afflictions for a looooong time! The concept of trance has been around in medicine throughout the ages. As far back as 4,000 years ago, Chinese medicine used words as a healing tool. The Egyptians recorded a form of hypnosis in hieroglyphics in around 3,000 BC. According to some, there are stories and verses in the Bible that describe forms of trance. For example, in Genesis, where the Lord caused a deep sleep to fall upon man. Others believe that Jesus performed a type of trance for healing purposes. Kings and warriors have used group suggestion throughout history to focus their troops on winning battles. And there were sleep temples in ancient Egypt, Greece and Rome where priestly magicians carried out healing and fertility rituals which involved sleep and dreams. Many different societies and cultures across the globe have types of hypnosis in their philosophies and religions. Just think of drumming, dancing, chanting and repetition to induce trance or other states of consciousness. Druids and shamans using remote places to reduce distraction and focus their concentration in order to go into “another world”. Prayer and meditation to induce ecstatic trance-like states. Walking on hot coals as a transformational tool to gain spiritual and emotional strength. 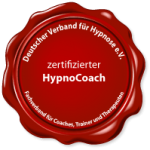 Modern hypnotherapy started in the 18th century in Europe. The Austrian, Franz Anton Mesmer, developed a trance technique that he called “animal magnetism” which he used to cure “imbalances” in his patients. That’s where the term “mesmerise” comes from! A Scottish doctor called Braid actually coined the term “hypnosis” in 1841, after the Greek word for sleep, hypnos. The French further developed the theory and practice of hypnosis in the 19th century. And in 1892, the British Medical Association recognised hypnosis as a therapeutic agent. And then came along the neurologist, Sigmund Freud at the end of the 19th century. Early experiences in his career brought him into contact with hypnosis. He realised that when mental patients were hypnotised, they experienced a different level of consciousness than during their day-to-day consciousness, which affects their behaviour without them knowing it. He also worked closely with the French pioneers of modern hypnotherapy who I mentioned before. These experiences with hypnosis were a major inspiration for the development of his theory of psychotherapy. Early on, Freud used hypnosis to help unlock repressed memories of his patients but later rejected hypnosis as unpredictable. However, Freud was not skilful in inducing trance and it is now widely accepted that that was most likely the reason he rejected hypnosis. He went on to develop his new methods of psychoanalysis and because of his great influence in the medical world, this, unfortunately, led to the temporary abandonment of hypnosis at the beginning of the 20th century. A little aside here: Did you know that Freud only saw a total of a few 10s of patients in his whole career and based most of his theories on this narrow experience? A successful hypnotherapist will see 1000s of clients! Hypnosis was used to treat post-traumatic stress during the First and Second World Wars. The British Medical Association approved hypnotherapy as a valid medical treatment in 1955. The American Medical Association did the same in 1958. The golden age of hypnosis has been reigning since 1960. Since then, there’s been a major shift away from the strait-jacketed and old-fashioned theories of Freudian psychoanalysis. Hypnosis started to become popular for many non-medical issues, such as increasing motivation, developing creativity and forming new and healthier habits. The thinking was, If you could help people to understand themselves and reprogramme their minds, they could release their creative potential to achieve success, better health, happiness and abundance. Orthodox medicine had been consistently failing to cure psychological conditions and this led to more and more therapists and clients turning to hypnosis. Psychological conditions are often directly related to stressful living. Hypnosis can help you to understand what the problem is so that you can reprogramme your mind to find balance and peace of mind. Would you like to understand yourself better through hypnosis? Would you like to unlock your creative power, achieve success, better health, happiness and abundance? Then why not book a free, initial consultation call with me here to find out how I can help you achieve your goal, often quickly and easily? If you would like to read more of my blog posts, please go here. Thanks for reading my article and I hope you liked it! If you’d like to sign up for my newsletter, where I email you a blog post or inspiration on the topics of hypnosis and self-development once a week, then please do so here. And you’ll get a free hypnotic deep relaxation audio download as a thank you gift when you confirm your subscription. Looking forward to serving you again soon 🙂 And always remember: you’re wonderful!